TNCC Working president,Mayura Jayakumar Thursday appeared before the CBCID,which is probing the sensational Pollachi sexual harassment case,after being summoned by the agency. Later,Jayakumar told reporters here that he has given a written statement to CB-CID,which has summoned him to interrogate in connection with case. 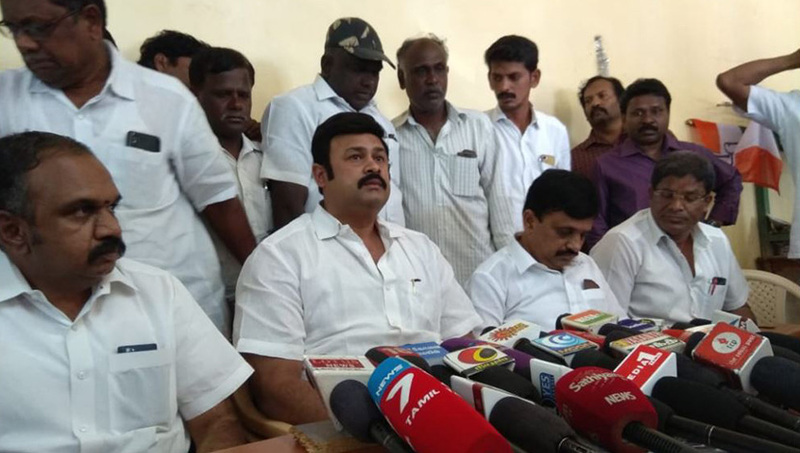 Stating that he was given the post of working president on February two,to oversee the affairs of the region, Jayakumar said that a large number of partymen,workers,industrialists were coming and wishing him after that. The key accused,Thirunavukkarasu reportedly told CBCID during interrogation that he was not in Pollachi on February 12 and had,along with his father had visited him (Jayakumar) in the city, Jayakumar said. Based on his ‘confession’,CBCID had summoned him and he had given a written explanation to the investigating agency,Jayakumar said adding “I have no direct link with Thirunavukkarasu”. Thirunavukkarasu was taken into CBCID custody for four days for interrogation,after which he was lodged in the Central jail here,along with three other accused,Sathish,Sabarirajan and Vasanthkumar.